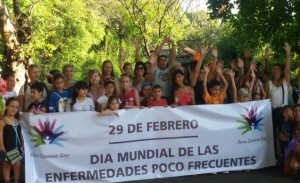 The Argentine Federation of Rare Diseases, (FADEPOF) together with the Association for Primary Immunodeficiencies (AAPIDP) as well as other national organisations observed the World Day of Rare Diseases on February 29th with many events. The motto for this year’s campaign was “Although you may not see us, we exist and have we rights” with the hashtag #existimos EPOFargentina. The success of this action caught the attention of the local media. 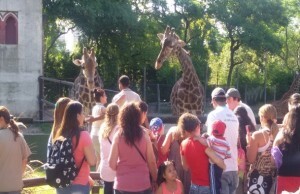 On Thursday 25th, patients, families and members of different organisations visited Buenos Aires Zoo. A group of medical doctors dressed as clowns also supported the meeting. On the following Saturday AAPIDP joined an event organised by FADEPOF and other organisations of rare diseases at Vicente Lopez and distributed awareness leaflets as well as organised different games for children. FADEPOF, AAPIDP and other organisations gathered in front of the government house to watch the lowering of the Argentinian National flag alongside the grenadiers and the general public. 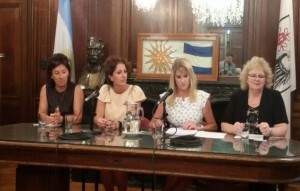 On the 29th at the Government of the City of Buenos Aires, FADEPOF, received recognition for its work by being declared an organisation of social and health interest. AAPIDP as founding member is very proud of this achievement and will advocate for political agenda changes in light of this recognition. 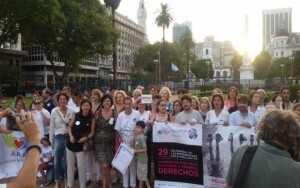 In Argentina 3.2 million people are affected by rare diseases.